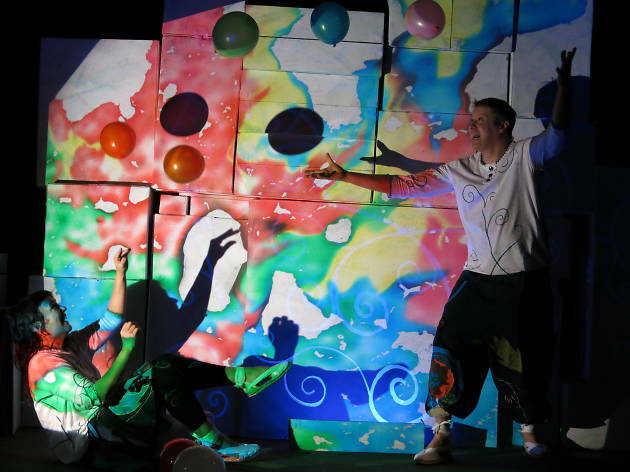 Who says there has to be a minimum age to enjoy a good bit of theatre? 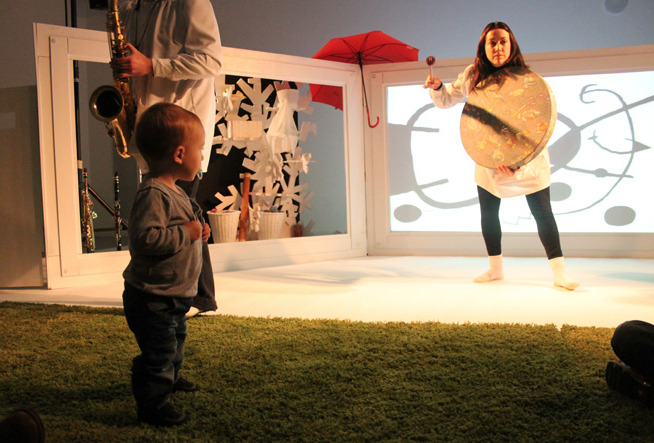 We’ve selected several stage performances without words, as well as other art-based shows that are designed specifically for very young audiences, even if they haven't reached the walking or talking milestones yet. 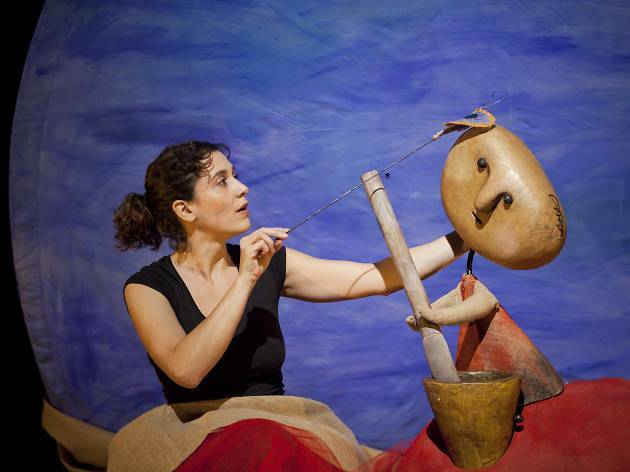 From La Petita Malumaluga company. An old sailor. Many years ago. A small ship. Weeks at sea. They say he was the first to discover a land no compass leads to. Oval, elongated, and blurred. 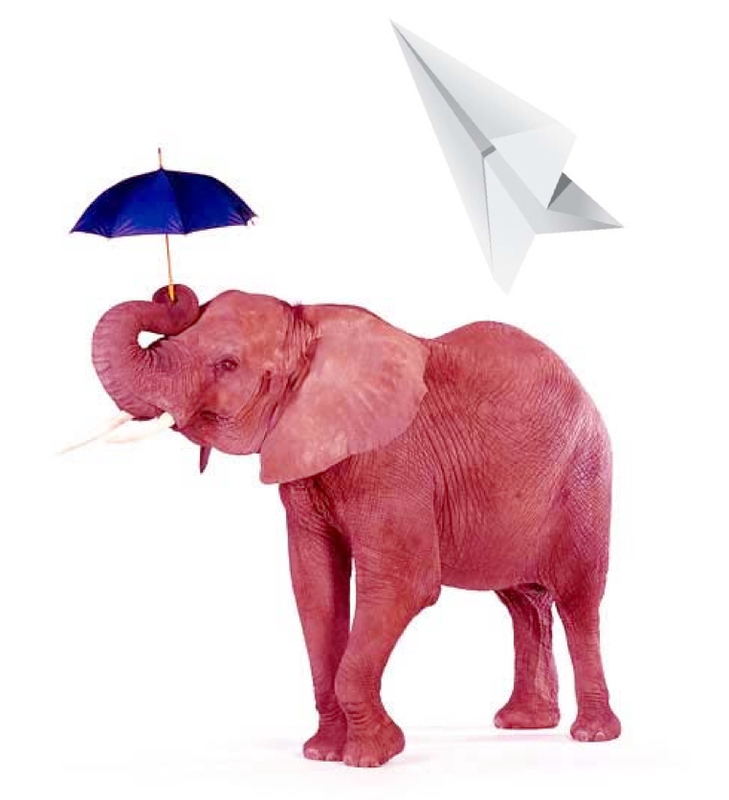 The delta of the 30 elephants under an umbrella. 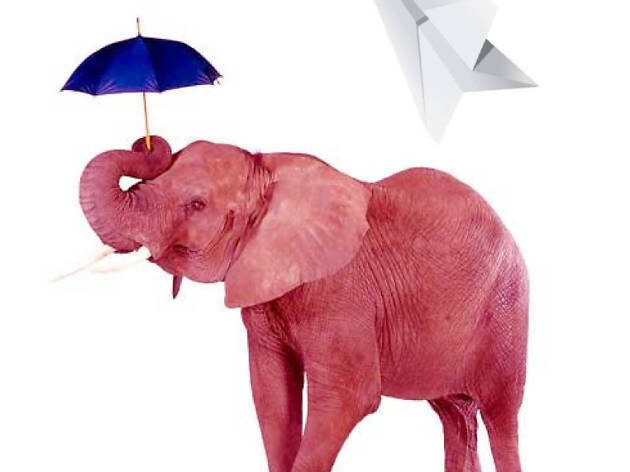 The delta where 30 elephants, or thereabouts, take shelter under an umbrella. The delta where 30 elephants, under an umbrella, take their first steps, get food from their mothers, and make their first journey on uncertain legs into the light of dawn. From the Fes-t’ho com vulguis company. At the beginning of the world, the sky and earth are connected together. One day, Maüra begins to grind some seeds in her mortar. She works harder and harder until her pestle starts to hit the sky with great force. A butterfly, a worm and a bird try to reason with her, but Maüra is too busy to listen to them. 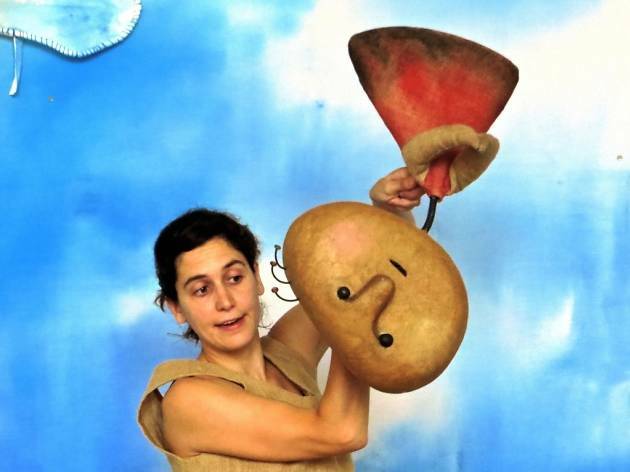 ‘Maüra, filla de la terra’ is a visual performance that explains the creation of the sun, moon and stars. 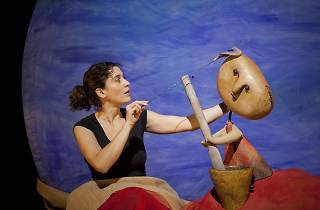 Script, puppet construction: Edu Blanch Barbany and Emilia Esteban Langstaff. Gwendolyn the gnome lives in her house in the trunk of a tree in a forest. 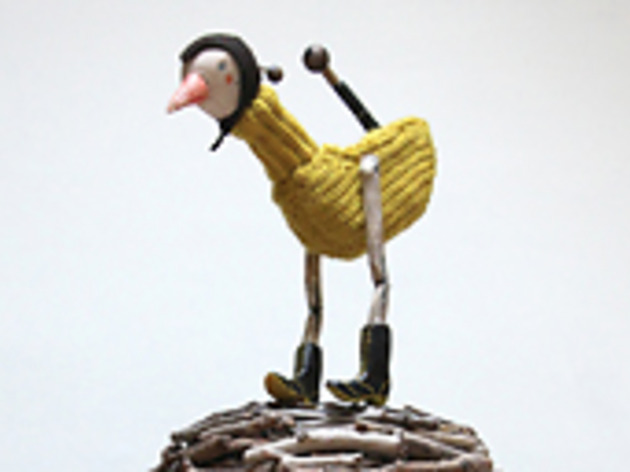 One day a bird settles into the roof of her home. Suddenly, and much to her displeasure, Gwendolyn has a new neighbour. It seems as though nothing will ever be the same again. Meanwhile, a letter arrives inviting her to her sister’s 200th birthday celebration. Excited for the party, Gwendolyn prepares herself for her journey. She has to leave her house for a few days, cross the forest and meet up with her sister. Anything can happen! From the Únics Produccions company. A white canvas, four colours and live music are the main ingredients in this creative experience for kids and their grown-ups. 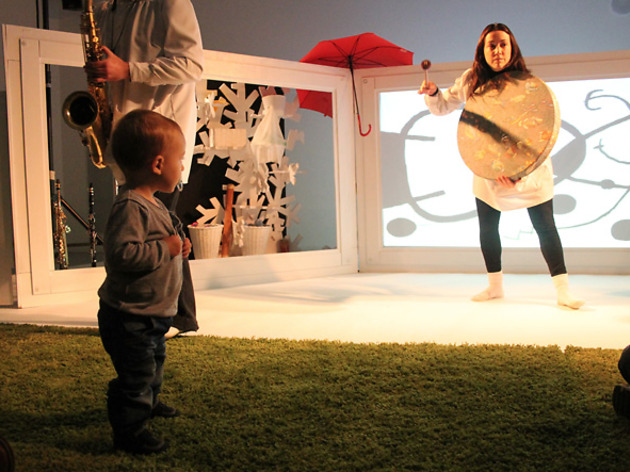 Three musicians, actors and singers are your guides on this creative journey through the seasons of the year, inspired by Joan Miró’s ‘Woman and Birds in the Night’.